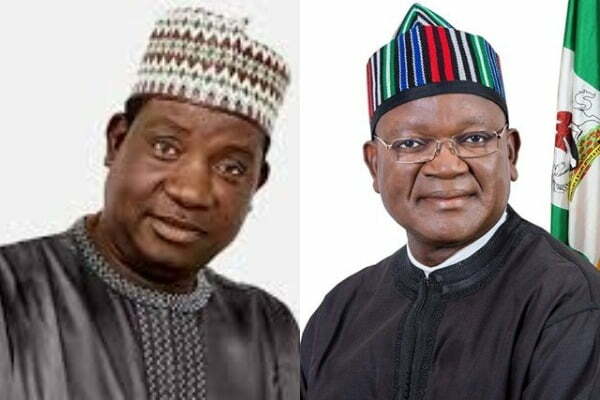 Benue State Governor, Samuel Ortom, has said his Plateau State counterpart, Simon Lalong was using the recent attacks on Benue indigenes to score cheap political point. Ortom said Lalong’s claim that he warned him (Ortom) against signing the anti open grazing bill into law was a cheap blackmail. Lalong had on Thursday disclosed that he warned Benue State governor Samuel Ortom against implementing anti-grazing law. Reacting to Lalong’s claim, Ortom said the Plateau governor does not have the right to warn him because he was not his staff. His words, “How can you warn me? Am I the governor of Plateau State, Or am I his staff? Do I work for him? I’m Governor of Benue State, and my responsibility is to do what my people want. That is what democracy is. “So when you and castigate people about because you were induced by someone, and you come out to make those kind of statements, then it’s unfortunate.